Pedro Manuel Guerra Mansito (2 June 1966 in G? ?mar, Teneriffe) is a singer-songwriter from the Spanish Canary Islands. :: Biography Guerra is the son of Pedro Guerra Cabrera, the first President of the Canarian parliament. He began studying the guitar at the Conservatorio Superior de M?sica de Tenerife. At the age of 16 he started to perform regularly throughout Tenerife. At 18 he moved to the university city San Crist?bal de La Laguna, where he met fellow singer-songwriters Andr?s Molina, Rogelio Botanz, and Marisa Delgado, with whom he formed Taller Canario de Canci?n in 1985. Guerra is the son of Pedro Guerra Cabrera, the first President of the Canarian parliament. He began studying the guitar at the Conservatorio Superior de M?sica de Tenerife. At the age of 16 he started to perform regularly throughout Tenerife. At 18 he moved to the university city San Crist?bal de La Laguna, where he met fellow singer-songwriters Andr?s Molina, Rogelio Botanz, and Marisa Delgado, with whom he formed Taller Canario de Canci?n in 1985. Marisa left the group the following year. 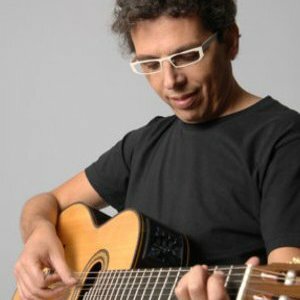 Pedro Guerras' style is based on Canarian folk music, as well as contemporary popular music, Latin American, and North African music. In 1993 he moved to Madrid and embarked upon a solo career. As a musician and composer he worked together with Ana Bel?n, V?ctor Manuel, Joaqu?n Sabina, Javier ?lvarez, Paloma San Basilio, Amistades Peligrosas and the group C?mplices. In 1995 he released his first solo album Golosinas. For his album Marar?a (1998) he was nominated by the Academia de las Artes y las Ciencias Cinematogr?ficas de Espa?a and won the Mejor Banda Sonora de Obra Cinematogr?fica de los Premios de la M?sica, which is awarded yearly by the Sociedad General de Autores y Editores (S.G.A.E.) and the Sociedad de Artistas, Int?rpretes o Ejecutantes (A.I.E.). For the election of the European Parliament in 2005 he supported the campaign of Izquierda Unida.